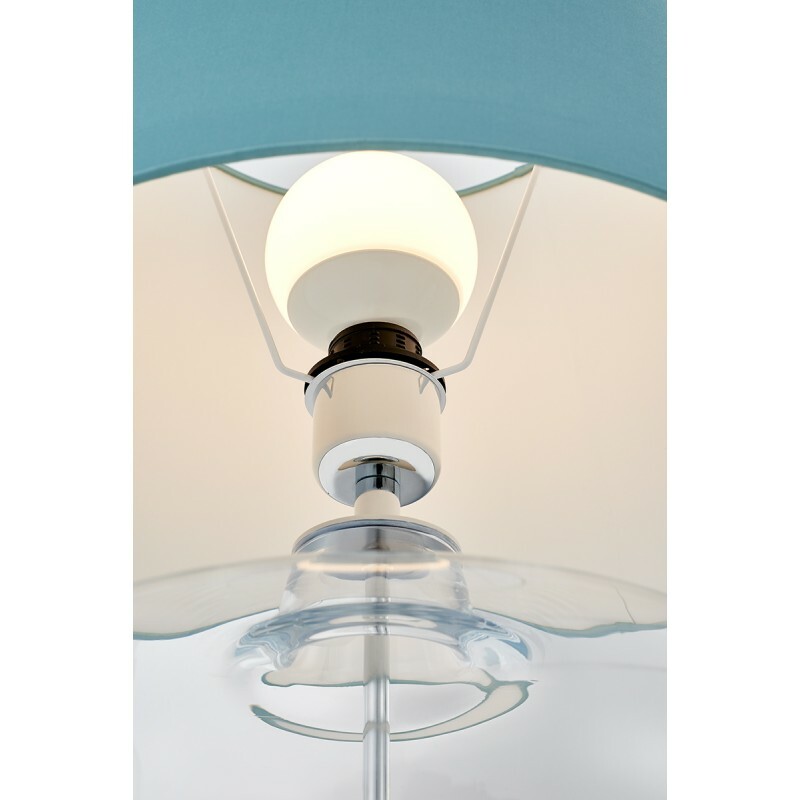 Elegant fabric shades set on massive rounded glass bases - in different color options - give the effect of cosiness, warmth and sensuality. 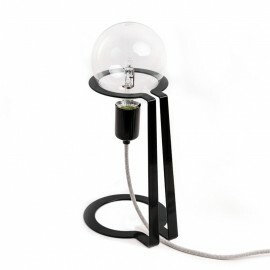 Must have in space, which we want to give a somewhat intimate character. 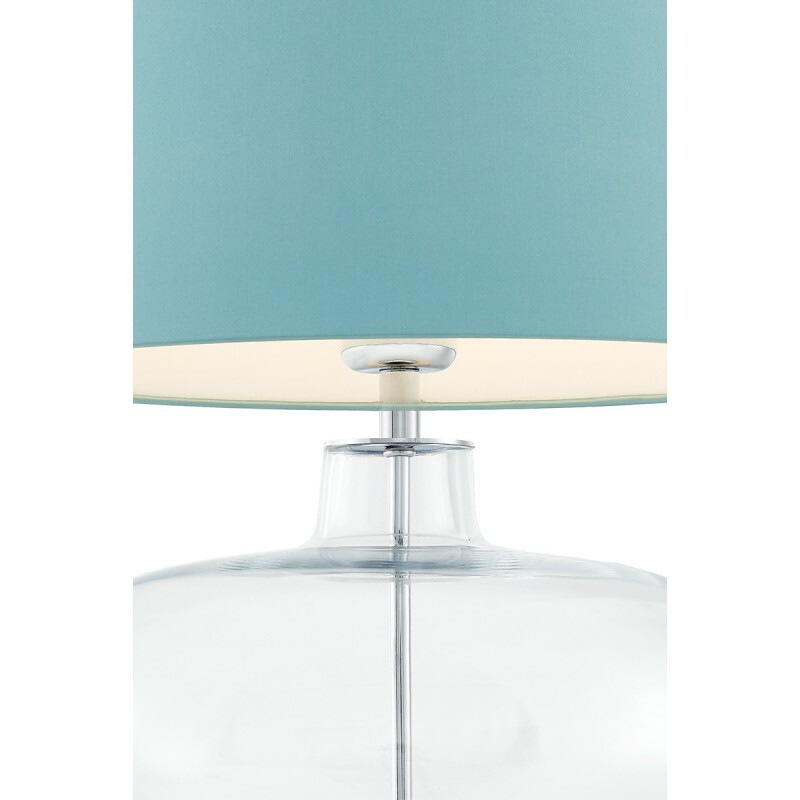 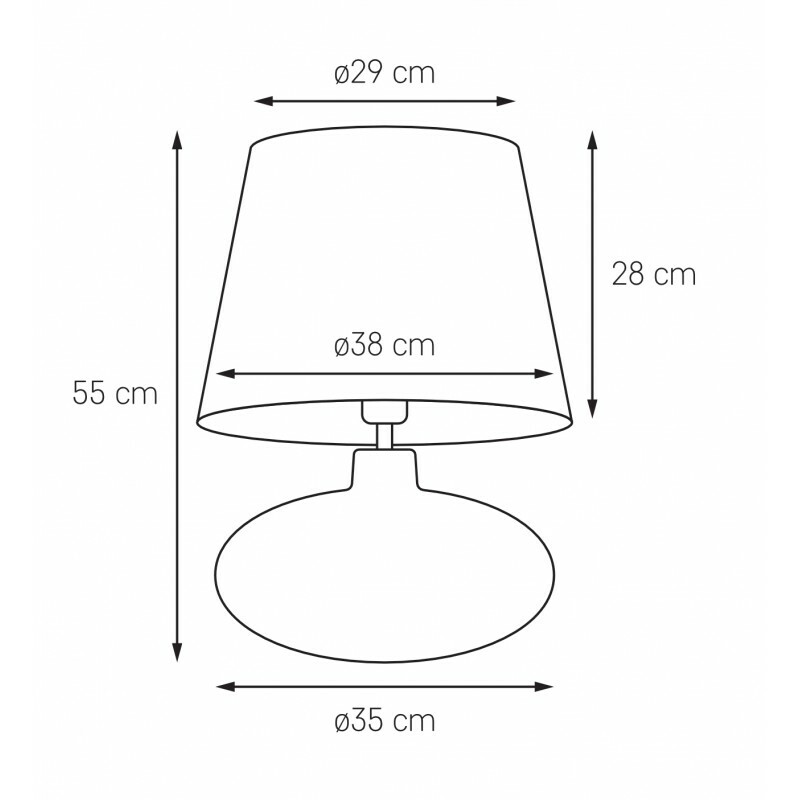 Particularly noteworthy is the fact of manual production in Poland - both lampshades and glass bases. 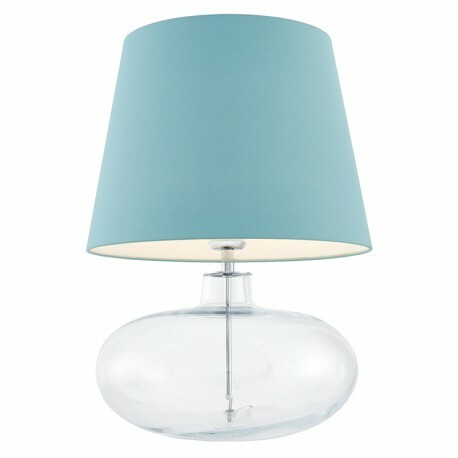 Small air bubbles, which sometimes occur in the base, are the result of manual glass production and are not a defect of the product, and they constitute its uniqueness. 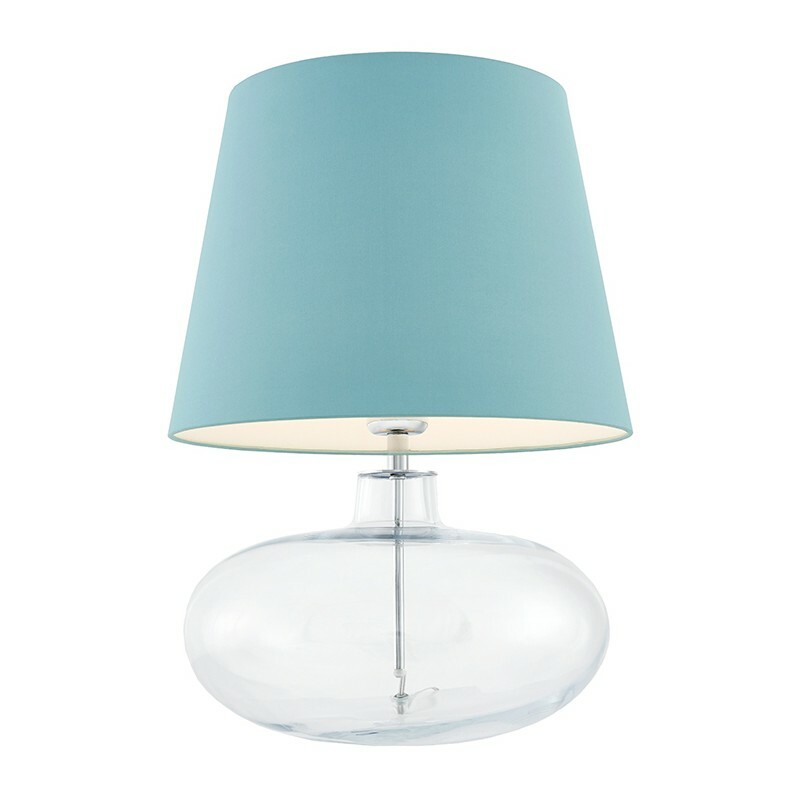 - Frame color: transparent, chrome, shade color: sea colour. 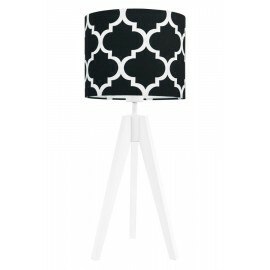 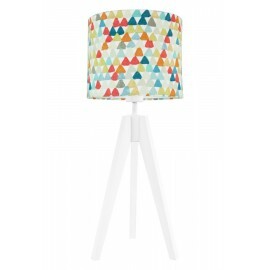 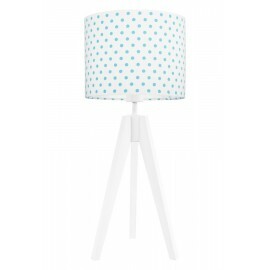 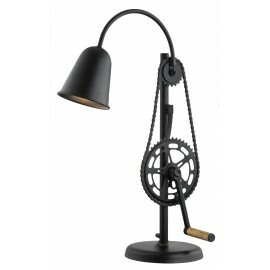 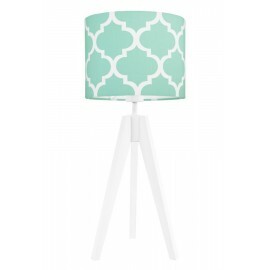 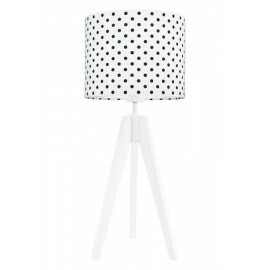 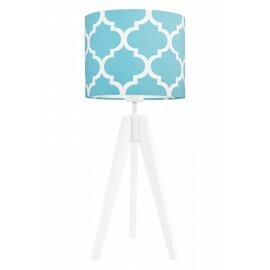 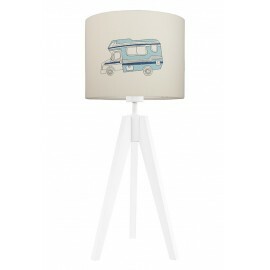 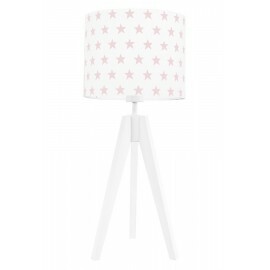 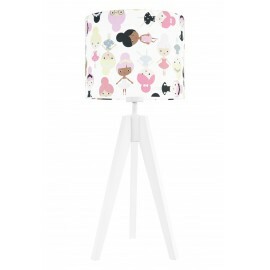 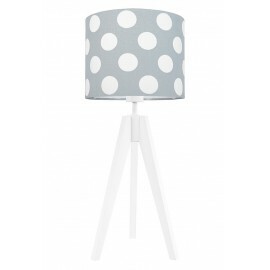 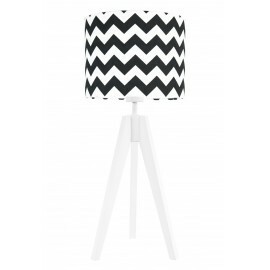 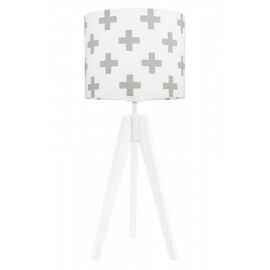 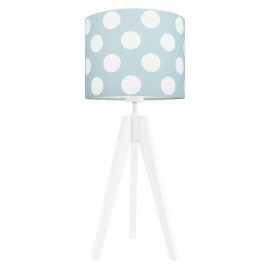 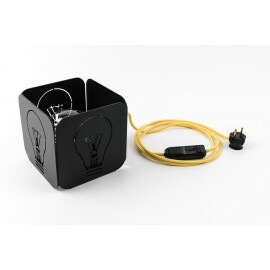 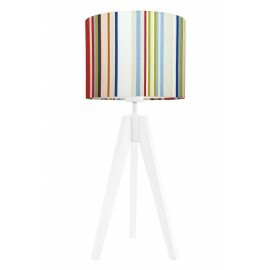 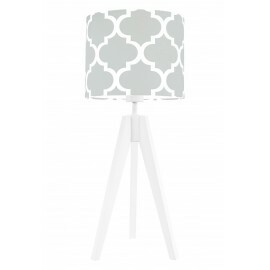 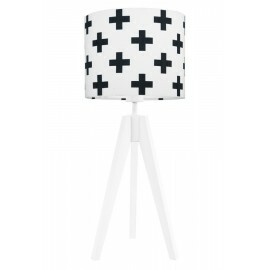 - Product size: height 55cm x diameter of the lampshade 38cm.